Mary Evelyn Compagnone (Fuoroli) entered into eternal life with peace and grace on Saturday, April 7, 2018 at home surrounded by her loving family. Mary was the beloved wife of Salvatore M. Compagnone. They were married for 67 years and together for 70 years. Mary and Sal were active members of the Sons of Italy. They worked together to create a beautiful family and many successful businesses, including Allstate Builders and Lor-Sher Apartments. Mary worked up until shortly before her passing doing “book work”, always having cookies and candies on her desk for visitors to their office. Mary was the cherished mother of Salvatore M. and Anna (Esposito) Compagnone, Jr. and treasured grandmother to Lori Ann Dunn and her husband, Edward and Sheri Ann Compagnone and her partner, Bert Ferragamo. Her five great grandchildren, Anthony and Jeanna Evelyn Bateman, and Erik, Edward and Joseph Dunn absolutely adored her. She is also survived by many nieces and nephews. Mary was born in Providence to James Mariano and Gloria (Roderick) Fuoroli who affectionately called her Evelyn. She worked for many years at Lorraine Mills creating fabrics and later became a supervisor. She was the sister of James M. Fuoroli and his wife Joan and sister-in-law of Anthony Compagnone and his wife Dorothy, and Catherine Fuoroli. She was the sister of the late John Fuoroli and his wife Frances and William Fuoroli. 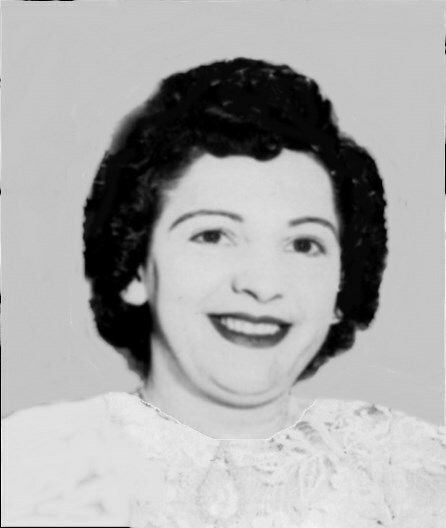 She was the daughter-in-law of the late Michael and Lydia (DiMeo) Compagnone and sister-in-law of the late Lillian Raviele and her husband Raymond and Michael Compagnone. Mary lovingly shared her strong faith and was a communicant of Sacred Heart Church. Visiting hours will be Wednesday morning April 11, 2018 from 8:30 to 10:00 a.m. at Maceroni Funeral Home, 1381 Smith St. North Providence, followed by a Mass of Christian Burial at 11 a.m. in Sacred Heart Church, 118 Taunton Ave, East Providence. Burial will be in St. Ann Cemetery, Cranston. In lieu of flowers, donations may be made in her memory to Sacred Heart Church, 118 Taunton Ave, East Providence, RI 02914.